The Julian calendar of Roman antiquity had leap years every four years, to accommodate the Earth taking slightly more than 365 days to go around the sun. This time period, also known as a “tropical year,” is less than 365.25 days. Therefore, over the centuries, the Julian calendar trailed the seasons more and more. In 1582, Pope Gregory eliminated the “leap day” from years divisible by 100. Years divisible by 400 still retained the extra day. 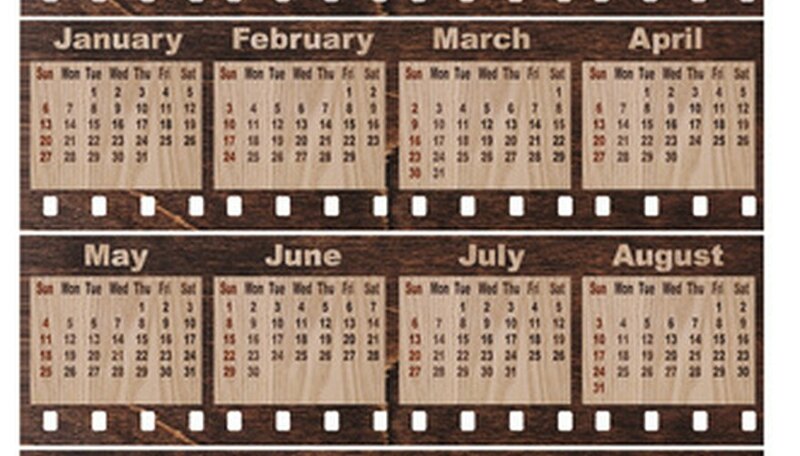 Since its introduction, the difference between the Gregorian calendar (the current "standard" calendar) and the Julian calendar has increased three days every four centuries, corresponding to the dropped leap days for three of the years ending in "00." For years between 1900 and 2100, the difference between the two stands at 13 days. Converting a Julian date to a Gregorian date is simple arithmetic matter, once you know the formula. Pick off the millennium and century digits of the year in question. For example, for the year 1600, just look at the 16. Multiply the result in Step 1 by 3/4. Subtract 5/4 from the result of Step 2. Drop any digits to the right of the decimal point. The result is the number of days to add to the Julian date to get its equivalent Gregorian value. For example, October 2, 1216, has the calculation 12x.75-1.25 = 7.75. Truncating gives 7 days. So a Julian date of October 2, 1216, is October 9, 1216. Handle BC dates with the same calculations, but first subtract a year. After then performing the calculations above, add the year back in. The reason for this is to maintain the linear relationship of the formula, since there is no 0 BC or 0 AD. 1 AD follows 1 BC. According to Wolfram Research, the current Persian and Russian calendars follow the seasons even better than the Gregorian calendar. In the years divisible by 100, date conversion for the first few days in March are more complicated than the above calculations. You may want to use an online calculator for the rare times (fewer than 100 days in the last two millennia) when you need to make this conversion. Dohrman, Paul. 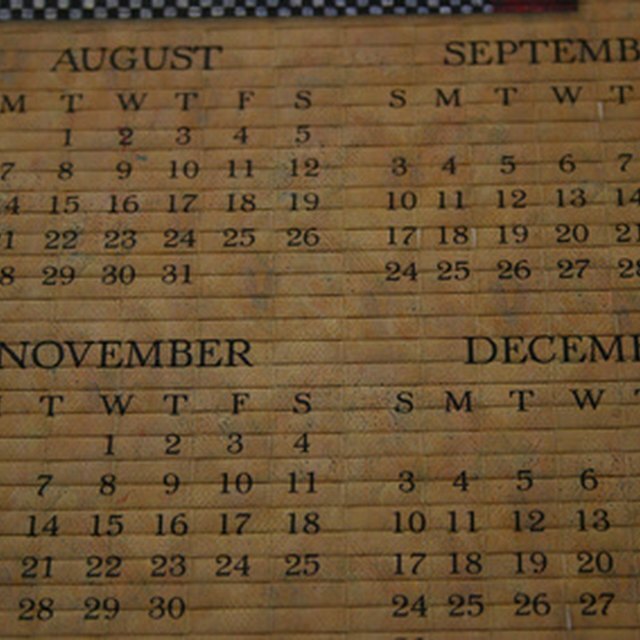 "How to Convert the Julian Date to a Calender Date." Sciencing, https://sciencing.com/convert-julian-date-calender-date-6017669.html. 24 April 2017.